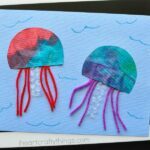 Looking for a fun craft to make with the kids this week for Shark Week? I’ve got you covered! 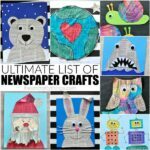 This newspaper shark craft for kids is amazingly simple to make and is great for kids of all ages so it makes a perfect activity for the whole family. Plus, it only requires a few supplies to make so you probably already have everything you need on hand for the activity. When everyone is finished with their shark craft, hang them up on display and enjoy how custom each shark’s personality is just like each person in your family. I originally saw the idea for this shark craft on Pinterest from Learning in Spain. I’ve been so excited to make it with my kids for Shark Week. 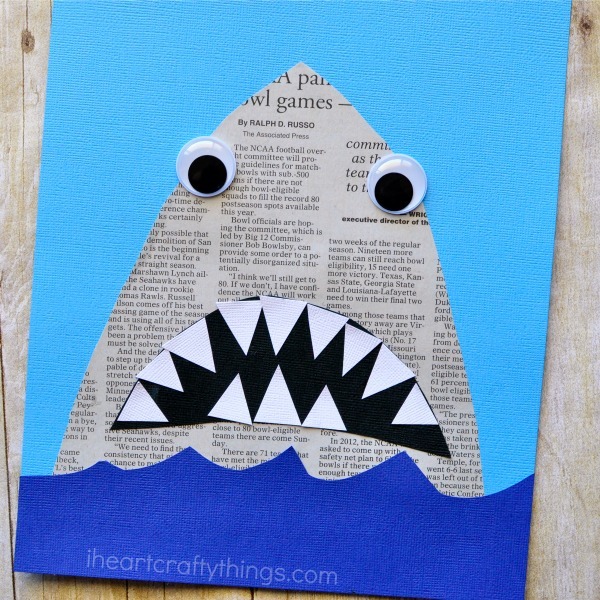 The only difference in our craft is we added the recycled element by using newspaper to make our shark. I love the added texture the newspaper brings to the craft, don’t you? 1. Start by cutting out your shark face shape from your newspaper. 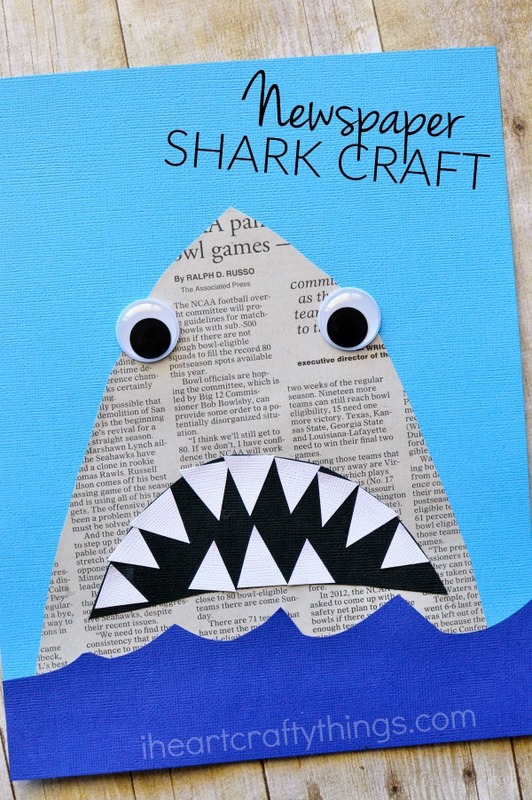 The fun part about this craft is how everyone creates a personalized shark by how they cut out their face. You can make it skinny or wide, short or tall, however you choose. 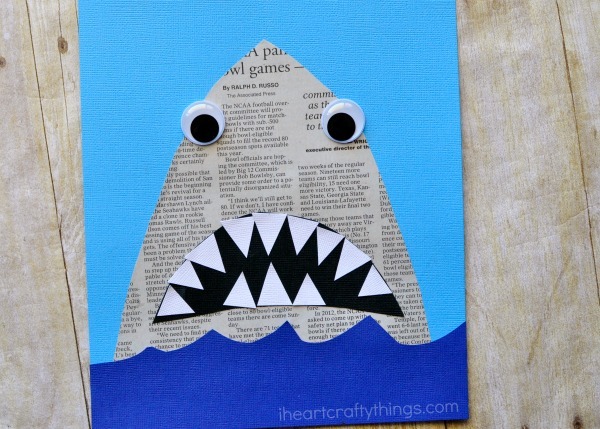 Glue your shark face onto your light blue cardstock paper. 2. 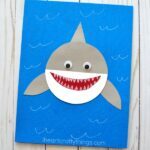 Cut out ocean waves from your dark blue cardstock paper (or construction paper) and glue them at the bottom of your light blue paper, underneath your shark face. 3. Cut out a shark mouth and teeth from your black and white cardstock paper. Glue them onto your shark face, together with your googly eyes. I have a question about the light blue “card stock” background. It seems to have a canvas-like texture or even fabric-like. What is it exactly? I love this project. Kids love it as well. Thank you for sharing.